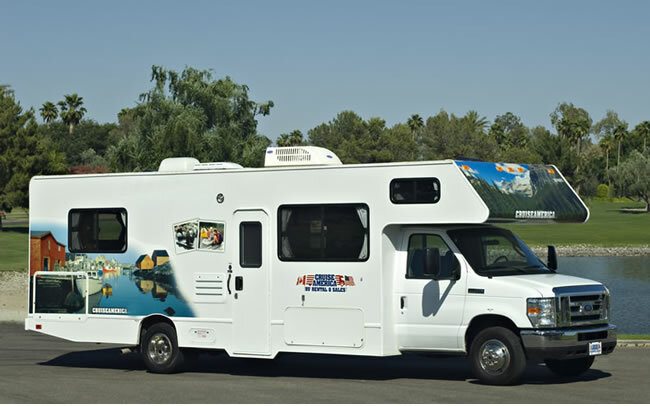 Cruise America - World's Leading RV Rental, Motorhome Rental and RV Sales Company. The largest RV rental company offers reservations for over 140 RV Rental locations in the United States and Canada. Booking.com Booking.com - All motorhome companies expect you spend at least one night in an hotel before you pick up your vehicle. Some of you may want several nights before or after your rental. We have linked with market leader Booking.com to provide you with access to any number of hotels in all of our locations. Remember, in most cases, the night before pick up should be in an airport area hotel - check with us on 0844 910 3271* if you are unsure. Click to access. Please feel free to use this service even if you decide a motorhome isn't for you. NB: Make your reservation with a credit card guarantee and pay the hotel directly on arrival. Auto Europe Auto Europe - Because we know that the motorhome or camper may not be all you use to travel around, and that often you will spend a few days in hotel before or after your rental, we have linked with market leader in worldwide car rental, Auto Europe. Wherever you are they will find you a car so just click and book. Canyon Helicopters Papillon Grand Canyon Helicopters - We take pride in accommodating each and every person who wants to experience the Grand Canyon. By offering tour options by air, ground and water, our guests are sure to find an unforgettable experience that matches their travel budget. HAT Tourism Marketing HAT Tourism Marketing - They are true professionals and definite leaders in the attraction ticket media business. With many of our suppliers being based overseas it is a huge benefit for us to have someone locally based who knows the product they represent inside out and can respond to our queries immediately. Please click on the list of attractions by HAT Tourism Marketing below. RENTALS ARE POSSIBLE FROM THIRTY-TWO NORTH AMERICAN LOCATIONS. Benefit from our unique personalised itinerary planning service by first checking our online TOURBOOK for ideas! * An 0844 number is a Fixed Rate non geographic number. This means that the caller pays the fixed call price when calling this number from anywhere in the UK. It is not a ‘premium rate number’ i.e. the recipient receives no financial benefit from having an 0844 number.